British psychedelic dub producers Ott and Globular are two of my favorite musicians when it comes to psydub. I've been following both artists since before their debut albums hit and I hope to be enjoying their evolving sounds well into old age. For this mix I've selected a number of tracks from each artist's albums without the use of any remixes. 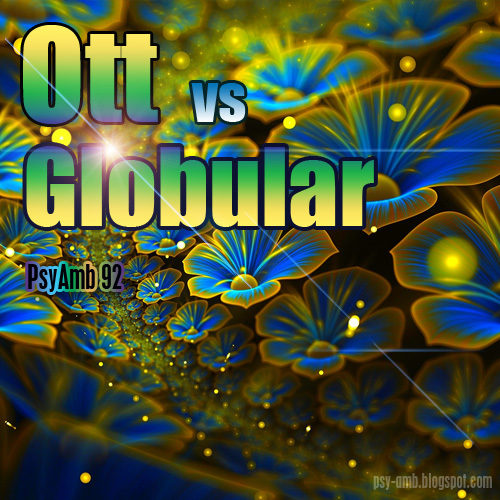 Both Ott and Globular have an extensive, superb sounding remix collection. There are plenty of tracks where they have remixed other artists, as well as having been remixed themselves. To the best of my knowledge they have not remixed each other though ! Anyway, as I say, this is purely album based tracks here, so if there is anything you like the hear of be sure to check out their albums.